Last year’s close finish in the Standard Chartered Dubai Marathon helped take the event to the top of the IAAF Marathon Results Rankings. While other city races may lay claim to be “Marathon Majors”, race results continue to show the Standard Chartered Dubai Marathon as being the world’s ultimate long distance event for elite athletes, according to figures from the IAAF (International Association of Athletics Federations). Kenya’s Eliud Kipchoge may certainly have set the world alight with a new world record time of 2:01:39 in Berlin last year but a closer look at the top ten men’s marathon times of 2018 reveals that the Standard Chartered Dubai Marathon produced the race of the year. Last year, Mosinet Geremew’s course record time of 2:04 saw him win by just two seconds from fellow Ethiopian Leule Gebrselassie with former champion Tamirat Tola four seconds further behind in third. Those three times alone were the second, third and fourth fastest anywhere in the world last year, while the men’s race provided six of the top eight Marathon times in the world in 2018. In addition, last year’s men’s race saw SEVEN men run sub-2:05 in the same race – the first time ever in Marathon history - while the fact that four women finished the same race in under 2:20 was also unprecedented in Marathon history. It means that BOTH the men and women’s races at the Standard Chartered Dubai Marathon were ranked number one in the world for 2018 by the IAAF in terms of results score. 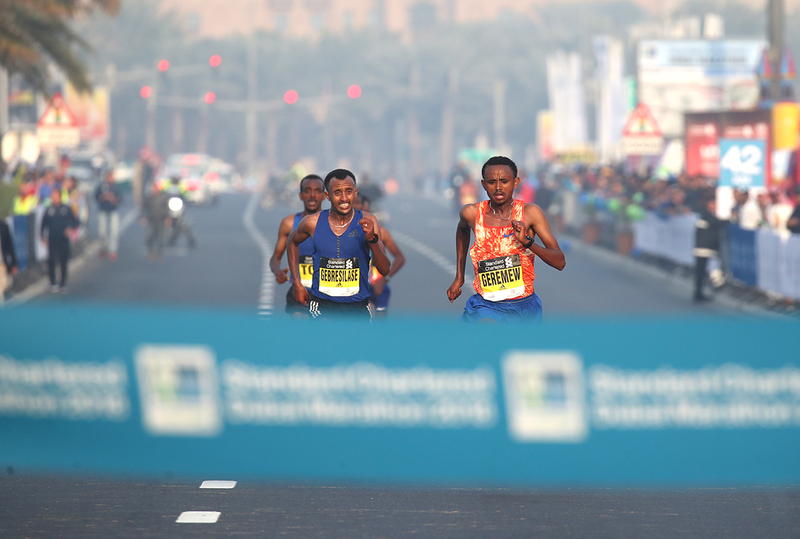 And with the 2019 Standard Chartered Dubai Marathon set to focus the athletics spotlight on January 25, industry insiders are keen to see who will emerge as the top talents to watch in the coming months. “Dubai is consistently the race elite athletes want to run,” said athletics agent and former Cross-Country Champion Gianni Demadonna, representative of Lemy Berhanu and Worknesh Degefa, both of whom will be in the line-up for the 20th anniversary of the Middle East’s only IAAF Gold Label Marathon. Held under the patronage of HH Sheikh Hamdan bin Mohammed bin Rashid Al Maktoum, Crown Prince of Dubai, and staged under the aegis of the Dubai Sports Council, the Standard Chartered Dubai Marathon has produced a catalogue of outstanding times and results over the years. “People talk about world records but it is worth noting the sheer strength in depth of the fields here in Dubai,” said Event Director Peter Connerton. “For example, Dubai has produced 13 of the fastest-ever 50 men’s times in Marathon history as well as 12 of the fastest-ever 50 women's times.